As much as I love Disney’s animated movies, I really do love their “regular” movies for lack of a better term that I can’t think of at the moment. I mean really, you have a true story, heroic action-thriller starring Chris Pine! What’s not to love? Oh yea, I forgot to mention it’s in 3D as well!!! 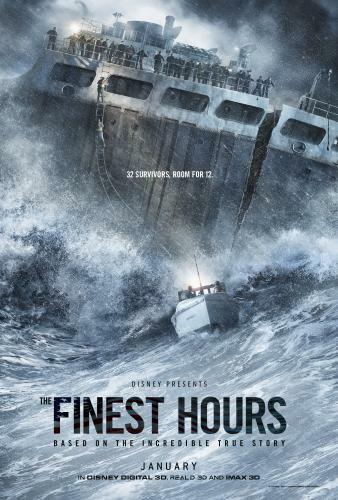 I just watched the trailer for The Finest Hours and i'm already marking my calendar for January 29th of next year! While I wait, I’m going to have to read the book so I know a little more about this story.